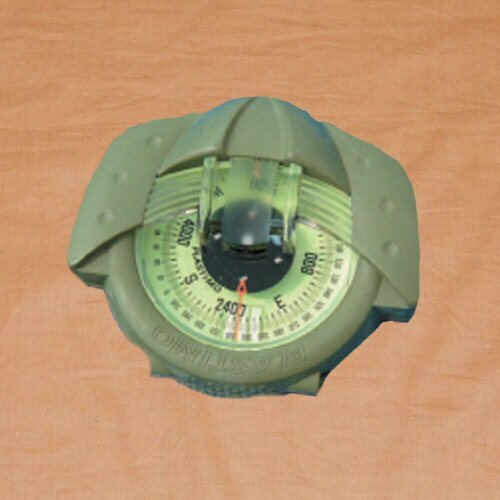 Utilising the Plastimo IRIS 50 hand-bearing compass, this self-illuminating compass in NATO Green is equally effective for night, day and dusk navigation. The compass is small enough to fit neatly into the palm of the hand or be worn around the neck without undue interference and large enough to be used in marine and vehicular applications. The night time use is optimised over the standard IRIS 50 compasses with the use of absolutely reliable Traser Trigalight sources without the need for batteries, bulbs or switches. The Trigalight sources consist of four gaseous tritium light sources which provide a completely independent means of light generation. No batteries or charging with ambient light are required. There are no associated moving parts and because the unit is continuously energised, there is no need for a switch. The compass lights will remain energised for 10 maintenance-free years, even during extended periods of complete darkness. The tritium sources are non-emissive and completely sealed, suitable for use in temperatures ranging from -40C to 80C and will operate under water. They are safe for operation in Zone 0 hazardous atmopsheres. The soft bottom cell prevents leaks and bubbles. The outer case is of tough, lightweight construction in a smooth, non-slip casing. The compass on its own weighs 96 gm, measures 83mm diameter and is 33mm high. 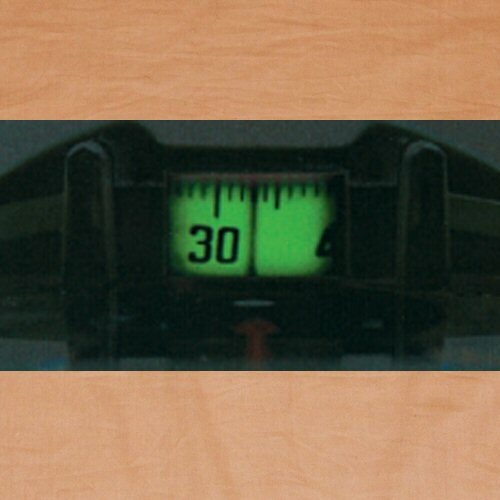 The degrees compass shows markings in degrees. Due to Royal Mail losing products, this item will only ship by Special Delivery and will incur the Special Delivery shipping charge. The compass shown in low light conditions, illustrating the illumination level and clarity of display.